Do I need a Realtor® when buying new construction in San Antonio? That friendly model home sales person? WORKS FOR THE BUILDER, not you, representation is FREE & what's better than FREE in my book? NADA! A buyer's agent can give objective professional advice and insight during all phases of construction; contract, construction, walk-thru & closing. Years ago I stopped doing my own taxes & leave it up to a professional, I do not want to get myself into a situation that could cost me thousands of dollars in the end, do you? Builders are not allowed to offer a reduction of price or an extra incentive by not using an agent, the friendly model home sales person (who again, works for the builder, NOT YOU!) get's a higher commission or it is worked into the builder's profits if you don't use a Realtor®. RE-SALE research an agent will do for you. PERIOD. A huge PLUS is an agent who has built their own home, that personal experience goes VERY FAR. Your agent can and will assist you with upgrades - which ones will give you the most bang for your buck, what they see in the area with comparable homes, how long you should hang onto that home if the builder is still building, etc. Think RE-SALE, RE-SALE, RE-SALE. Even if you don't think you will be moving soon, YOU NEVER know right? When issues arise with the builder (and believe me they do! ), your agent is your advocate & will fight for your rights. Not having a buyers agent can cost you more than money, it can cost you a ton of time, energy and frustration. CAVEAT EMPTOR! 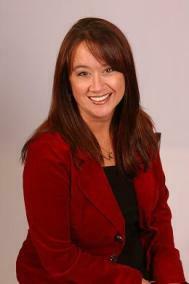 Cheryl Fairbanks has joined ActiveRain!